The ringing (or banding) of birds is a scientific method for gaining knowledge about birds and the environments in which they live. The basic principle behind the method is to fasten a metal ring around one of the bird´s legs. A unique number and a contact address are printed on the ring. Traditionally, bird ringing has been used to increase our knowledge of bird behaviour. This allow us to answer questions about e.g. where birds have wintered, which migration routes they follow and their important resting places, as well as causes of death, how long they live and how fast they move (migrate). With improved knowledge about various species, the goals for bird ringing have become more nuanced. New goals and new content on the ring markings enable more detailed studies of changes in bird-populations. This is an important contribution to environmental monitoring. 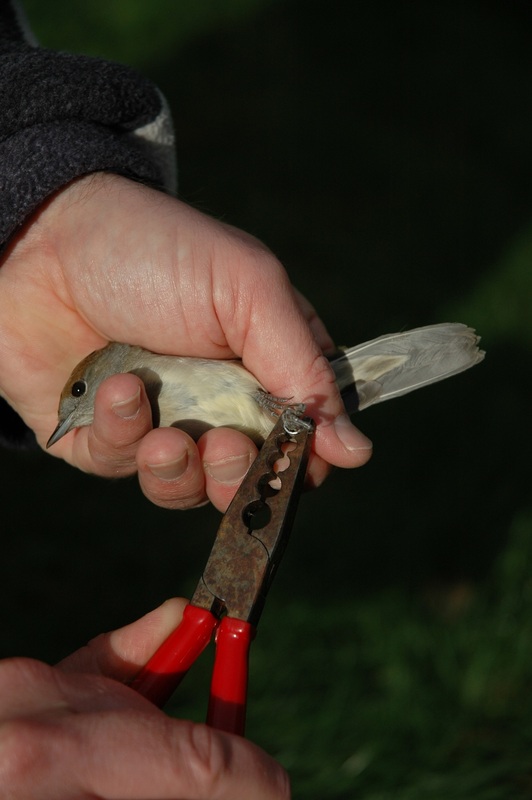 In many research projects, ringing is used as a secure method for recognising individual birds throughout their life. Knowledge gained from ringing is often based on members of the public finding the ringed birds and reporting their finds to a ringing centre. The Norwegian Bird Ringing Centre are managed by Museum Stavanger. Here you will find more information about bird ringing (banding).